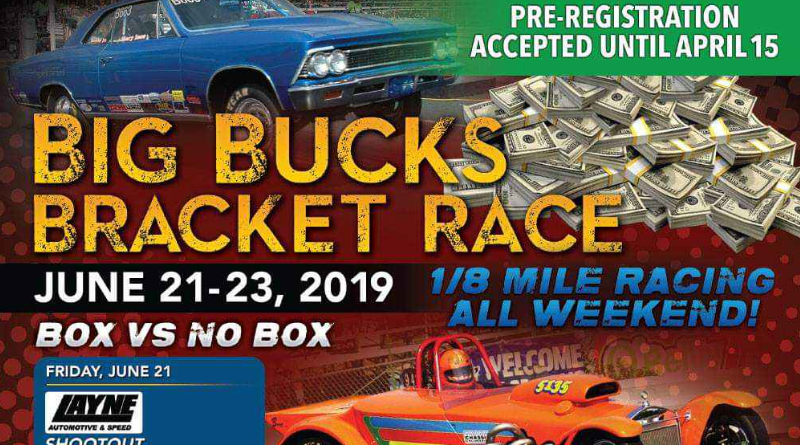 Big Bucks Bracket race comes to Cordova International Raceway June 21-23. The three-day race weekend starts off with the Layne Automotive and Speed Shootout on Friday night. The shootout is followed by a $25,000 main event on Saturday. The race weekend wraps up with a $10,000 race on Sunday. For more info on the Cordova Big Bucks Bracket Race, see the event flyer below or click here. For more bracket racing news at DragChamp.com , click here.